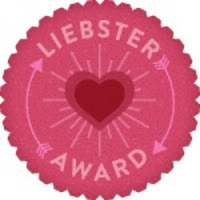 Hey Everyone, The very lovely Laurie over at Life Envy nominated me for a Liebster Award, thank you!! You must post 11 random facts about yourself. You must answer 11 questions from the person who chose you. You must create a new set of 11 questions for who you tag. You must then tag 11 blogs with under 200 followers and let them know. You can not tag back. 1. I don't have TV, like at all! Only Dvd's just don't need it right now/ nor can I afford it! weird? 2. I love salt and Chocolate, especially mixing salty popcorn with Maltesers! 3. I really want a puppy, I love springer spaniels! 4. I've just started doing some blog designing and have created a new page for it! 5. I'm finding it very hard to think of random facts! 6. I no all the words to every episode of Father Ted! 7. I collect absolut bottles even though i don't drink! and brought one of the new limited edition ones last week! 9. I love meeting new people even if i do find it scary! 10. I'm currently job hunting! 11. i've chips in the oven and there nearly done! yay! By chanceI started watching and reading miss budget beautys youtube and blog, and therefore discovered beauty world, loved it, and wanted to join in. 3. What do you find challenging about blogging? nothing really i love it and its a hobby, every now and then i get bloggers block but something always inspires me! 4. How do you overcome life challenges? 5. Who's your style icon? Lauren conrad probably or zooey deschannel! 6. If you could give younger you a piece of advice what would it be? enjoy life while your young, don't try to grow up to quickly, and don't waste time on people who have no time for you! 7. 3 things you want to achieve in your life? 8. What makes you get up in the morning? 9. Name one thing you do every day without fail (except breathe!)? 10. Your best beauty tip? Moisturize, and get a good mascara! 1. What do you hope to achieve in your life time? 4. whats your favorite beauty product? 6. One piece of advice you would give to a new blogger? 7. Why do you blog? 8. what makes you who you are? 9. One place you would love to visit and why? Thanks Hannah, this is gonna be a fun tag!!!! New Blog Design... Thank you youralmostalice! Recession v's What Recession: Winter Woolies!